5 Spot | Sleep doctor Nikos M. Linardakis, M.D. 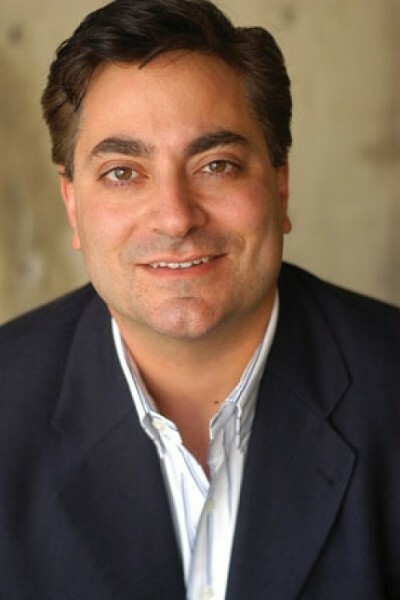 Nikos M. Linardakis, M.D. will sign his book Ten Natural Ways to a Good Night’s Sleep at the King’s English Bookstore on Thursday, Jan. 17 at 7 p.m.
One in four people have problems sleeping. This leads to associated sleep-deprivation problems, drowsy driving, poor work performance, weight gain, poor health, irritability and other problems. It’s one third of your life, and you should be enjoying it! It helps rebuild the body and get ready for a fun day. People are looking for the fountain of youth. If they sleep well, they will live longer, healthier and more beautiful lives. What gets in the way of sawing logs? Environmental problems such as poor bedroom environment. Consider the five “senses”: too much light, too much sound, touch (too cold/hot), taste (poor hygiene), poor bed mattress; stress-induced problems—taking problems to bed; poor dietary practices—eating fatty foods late, drinking/eating caffeinated products prior to bed. I might be one of these partiers as well, working long hours, staying up late to finish up what I want to accomplish in the world. That drive and sleep deprivation can lead to major health problems, such as obesity and heart disease, irritability, drowsy driving and accidents. Getting a bad night’s sleep can lead to disaster and making poor decisions. As a result, over 100,000 police-reported car crashes happen every year, and terribly, over 1,500 deaths. Be careful: pull over and sleep. You’ll be dead instead of asleep if you don’t take the time for good rest. At the same time, many (especially older folks) toss and turn and beg for more sleep. Setting a consistent sleep-wake cycle (going to bed at the same time each night) is also important and avoiding taking multiple naps. Naps are effective in the early afternoon (best between 2 p.m. and 4 p.m. but not after). Always check for problems that may be related to serious sleep disorders, like sleep apnea (where a person stops breathing and then gasps for air). These need medical treatment like CPAP (positive air pressure, to help with breathing). Why are sleep aids not the best approach? Pharmaceutical drugs can offer clinical benefits for those individuals who truly require a medical approach—when all other options have failed. If you look at side effects of many top-selling drugs, you will find a complete list of why they may not be the best approach. Do these drugs actually reset the sleep-wake cycle? One look at the drug categories they are under: antidepressants, antipsychotics, hypnotics, narcotics, etc., will make you ask the question. I recommend first trying a natural approach with time-tested methods and natural solutions that offer long-term plans—instead of being knocked out. If there’s a fire in the house, can you wake up to get away from the danger? Ask your doctor. Can you respond to an emergency with any form of accuracy and understanding while on these drugs? This year, over a dozen drugs were required by the FDA to have warnings about problems with driving while sleeping (known as “sleep driving”). If you really need a pill, take a natural sleep supplement like Nytex, that contains antioxidants as well from wild blueberries. Out of all the exciting medical specialties, why specialize in sleep? During my medical doctor in training, I was sleep-deprived for several years, getting maybe two hours of sleep a night. Like others in the field, I had to make major medical decisions during the day. It was an exhausting part of my life, but it also set the tone for my work ethic and drive. About 15 years ago, I did research with Dr. Alexander Golbin, one of the first sleep scientists (a pediatrician and child psychiatrist). I knew from the work at Cook County Hospital in Chicago that I was hooked. If you read the preface of the book, there’s a short story of how I overcame my own sleep problems and helped with my own health. Then, I could really make a difference by being around in this world. Will your book put readers to sleep? I hope this book puts everyone asleep; that would be a great compliment for me. I would feel I did my job. The book is a great read, very simple and to the point. If you want to sleep like you slept when you were a child, this is the book for you. I’ve been called America’s Natural Sleep Doctor, and you will learn why when you read the book. You once ran for mayor. Do you think a job like city mayor would lead to sleep deprivation? The mayor will lead more effectively with a good night’s sleep. Overcoming sleep deprivation caused from erratic work schedules is a must since people with disordered sleep can have health problems. The mayor of Salt Lake should consider implementing work performance programs that recognize the need for adequate sleep. Accidents happen when people lose sleep. Work performance increases when people get proper amounts of sleep. Irritability and other problems decrease with a good sleep-wake cycle. In the book, I talk about how we live in an era where we love speed, movement and getting things done. Many of us do shift work; we think 24-7. How can we wind down from the stress of the day? How do we get a consistent sleep-wake schedule? Be properly hydrated, avoid antihistamines, hypnotics and other temptations like stimulants in the day. Sleep deprivation costs employers over $100 billion a year in lost productivity, sick leave, medical expenses and property damage. Does counting sheep really help people fall asleep? And how many sheep? Highly likely—do anything that is boring, and you may fall asleep! It’s been a couple millennia since the little boy in the manger had a nice nap and probably counted sheep. I originally dedicated the book to all those tireless sheep. One-hundred fifty-six seems about the right number. Further clinical research is needed.